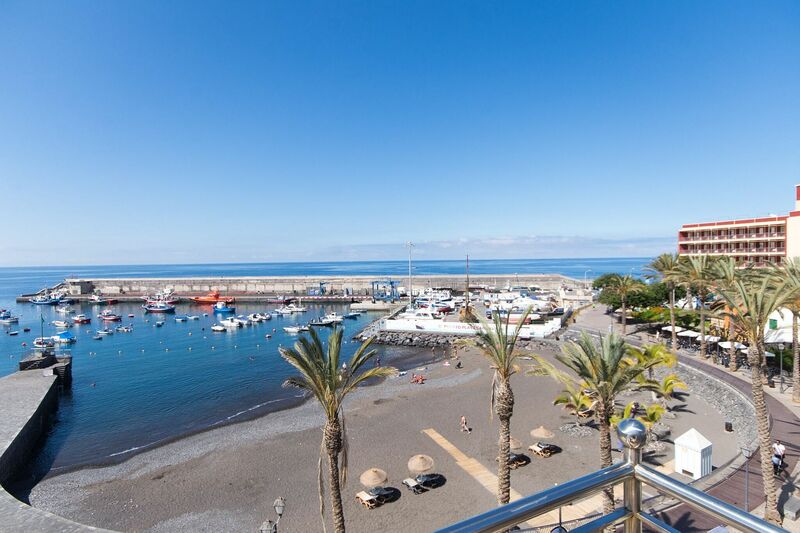 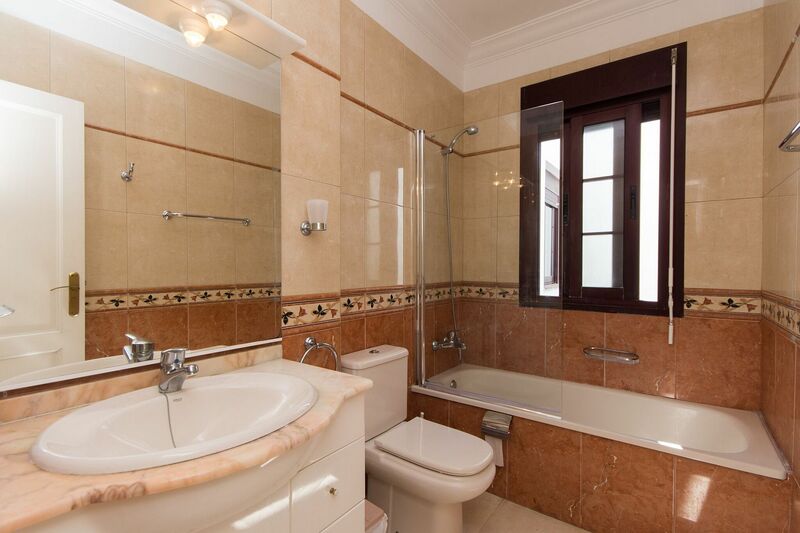 A lovely 2 bedroom, 2 bathroom penthouse Tenerife apartment is located on the seafront in Playa San Juan. 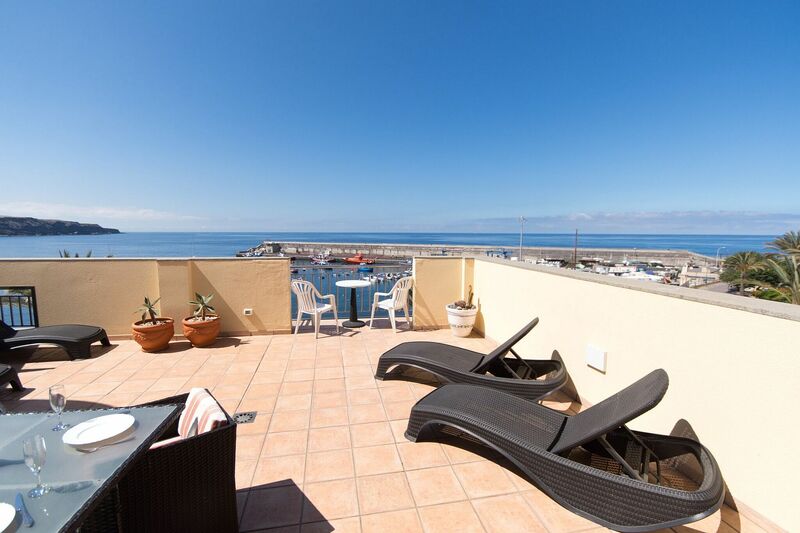 This Tenerife apartment offers fabulous views of the beach, the harbour and panoramic views of the sea. 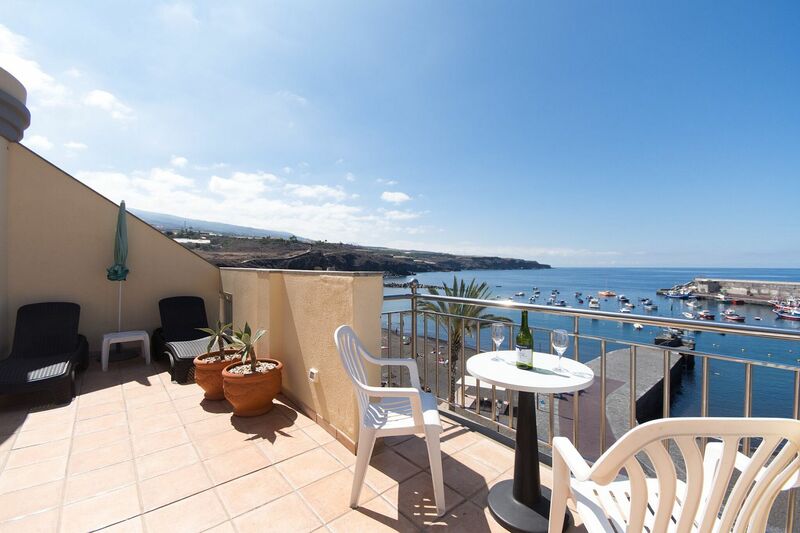 Located in the tranquil and pretty fishing village of Playa San Juan, on Tenerife’s sunny south-west coast. 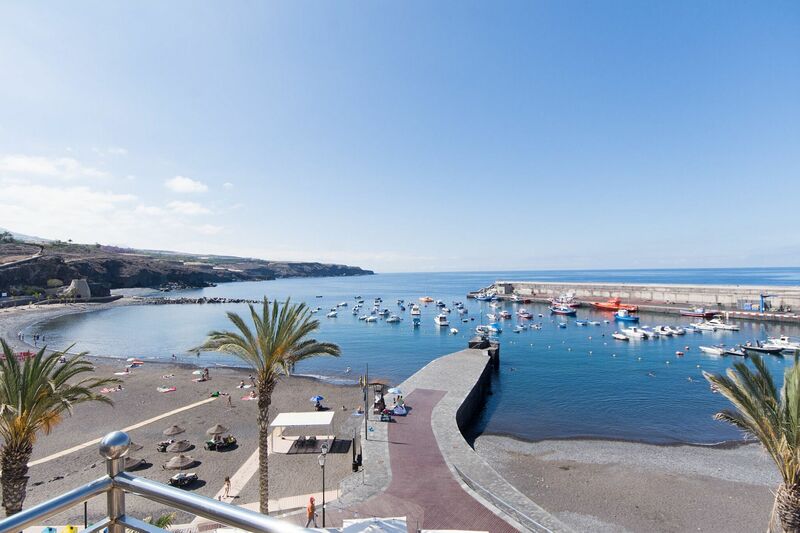 Playa San Juan has maintained its character as a typical Spanish village. 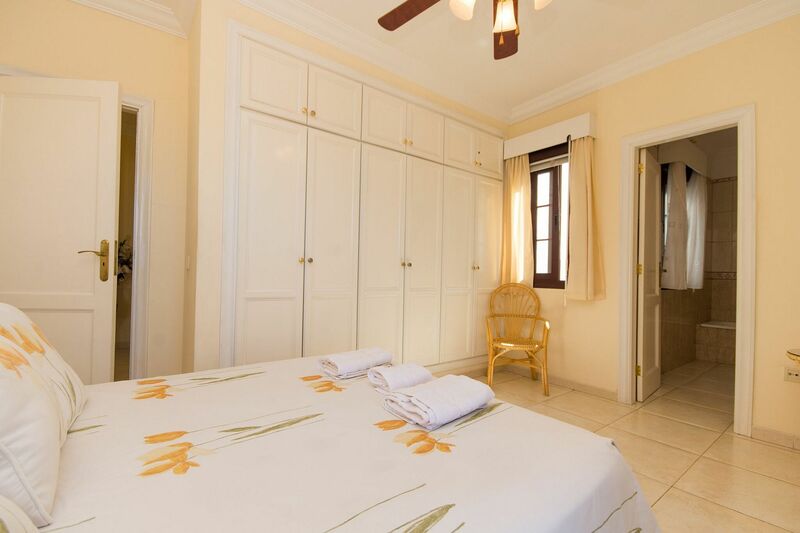 The locals will proudly tell you that the climate in Playa San Juan is the best found on the island. 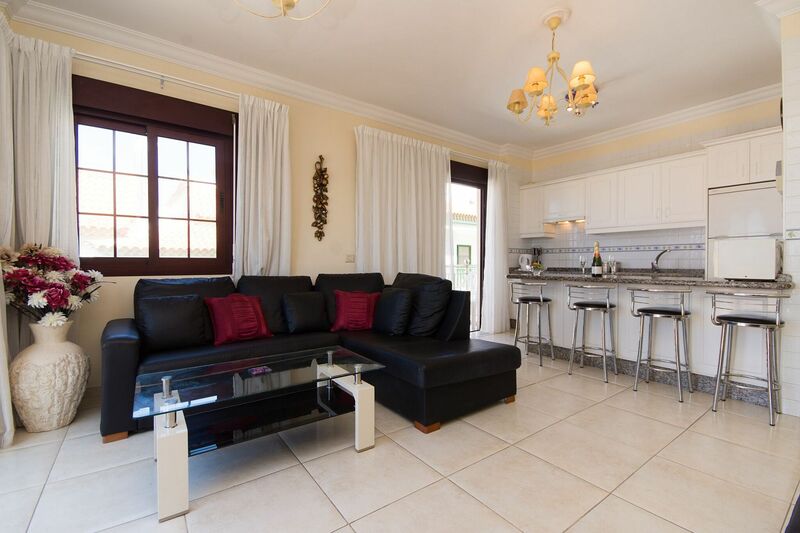 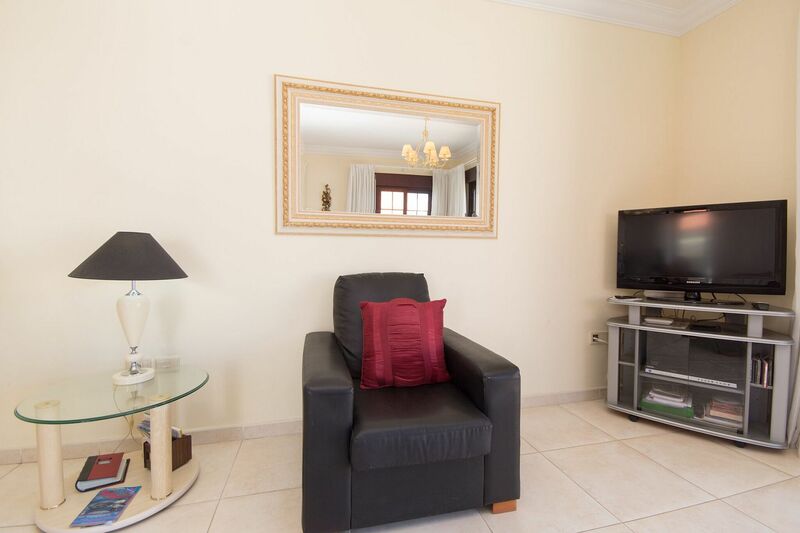 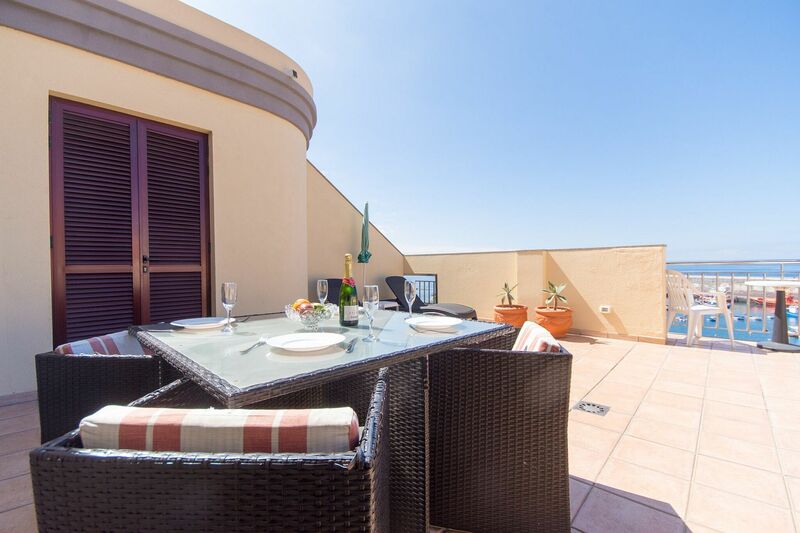 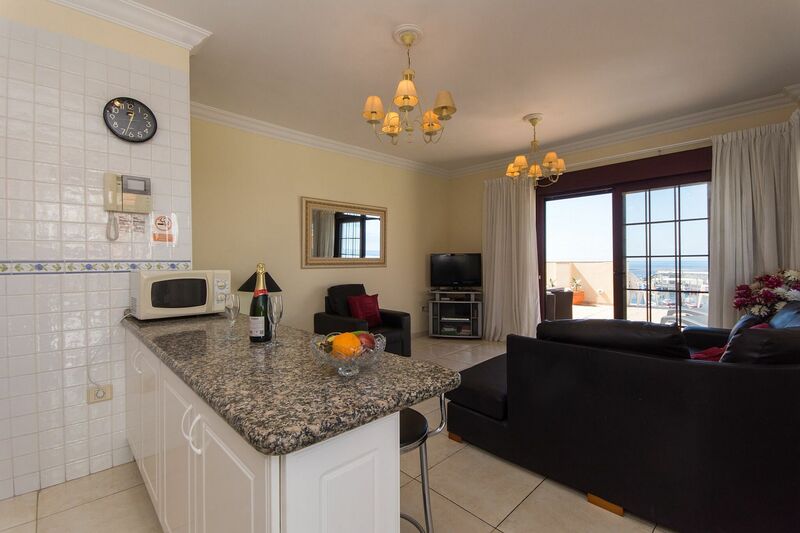 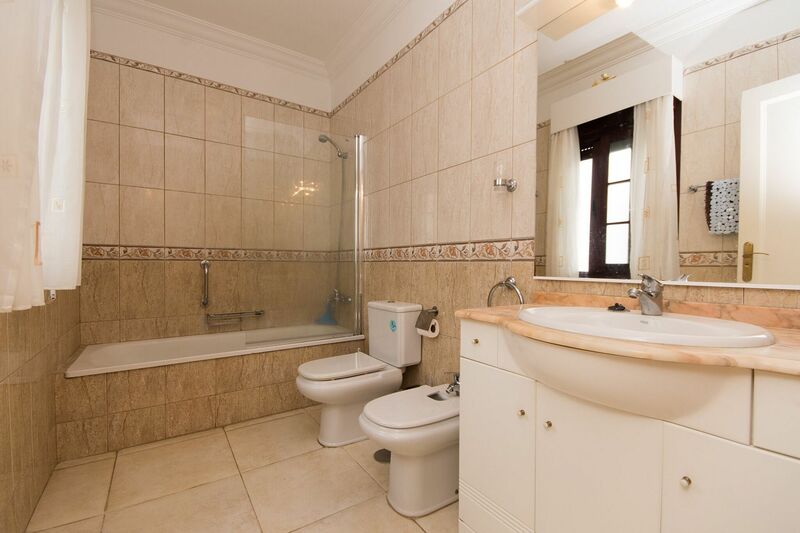 This Tenerife apartment offers Wifi and is located on the third floor accessible by a lift. 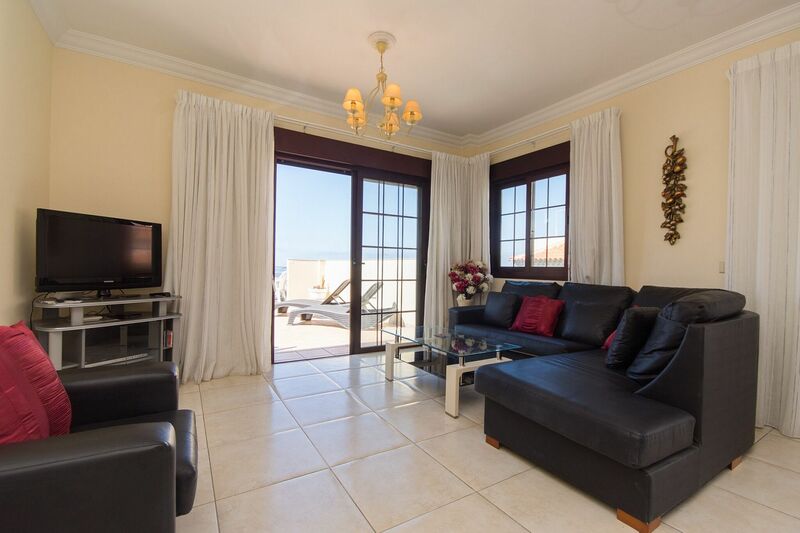 The lounge area which leads you out onto the large sunny terrace, is beautifully furnished and has satellite TV. 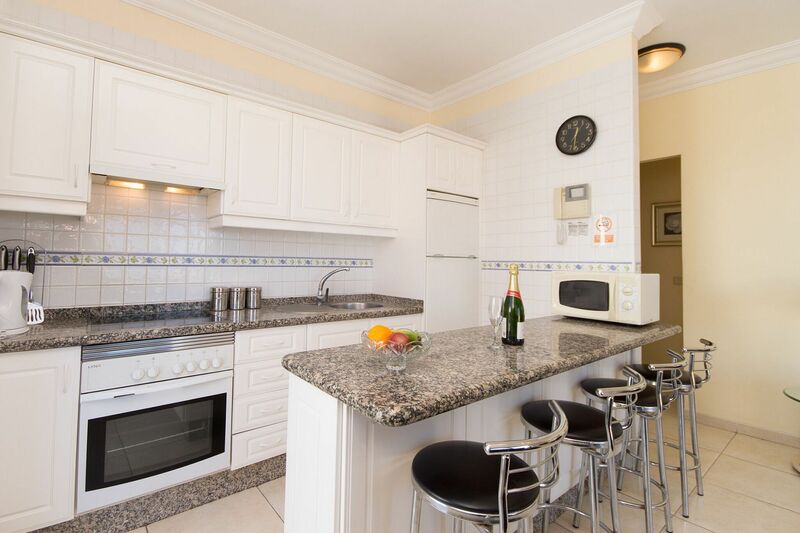 The modern open plan kitchen is well-equipped with an oven, microwave and all the cooking utensils you could need. 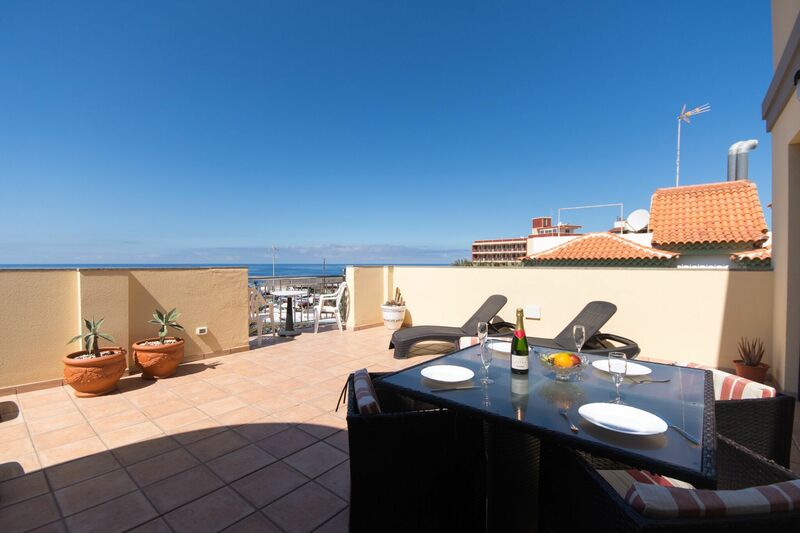 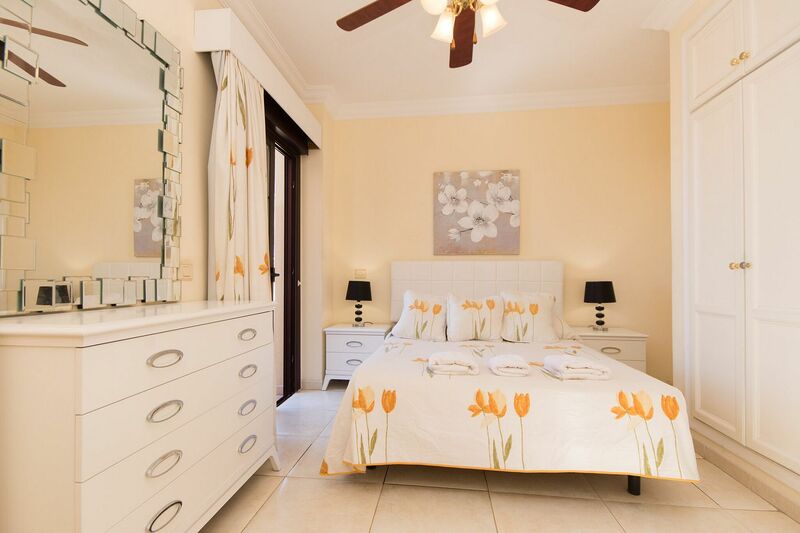 The master bedroom of this Tenerife apartment with a double bed has a large en-suite bathroom and patio doors leading onto the large terrace. 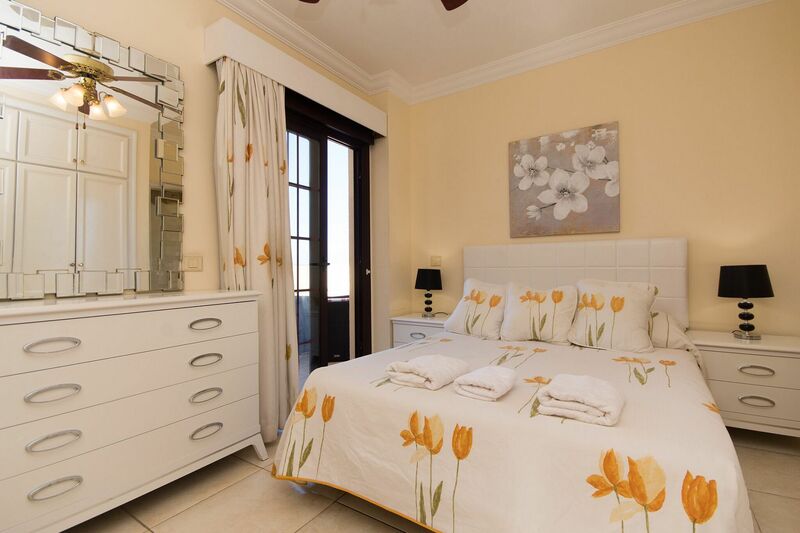 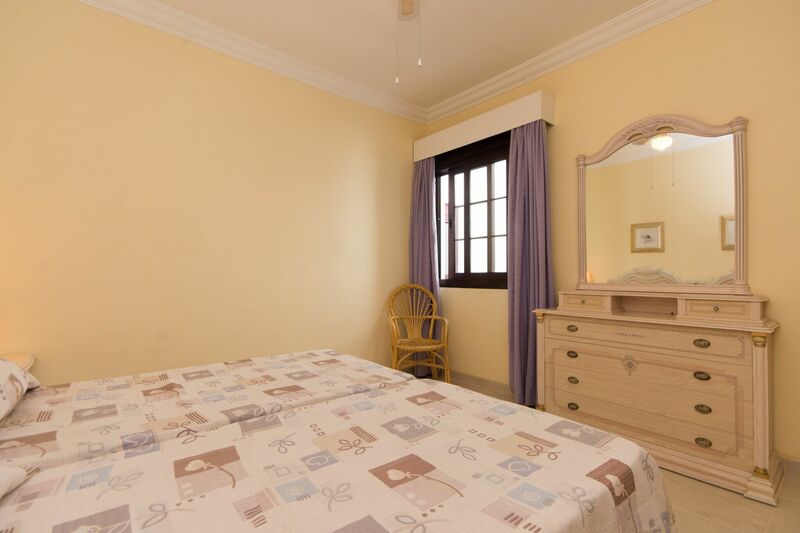 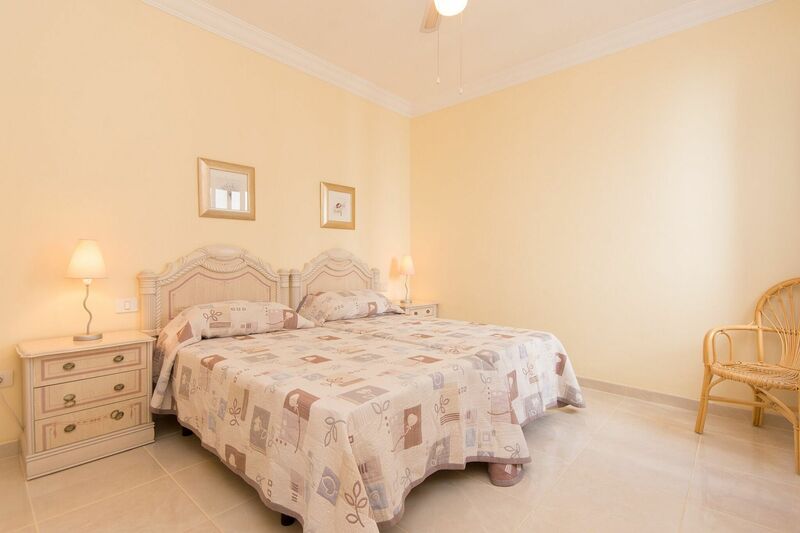 The second bedroom of this Tenerife apartment has twin beds. 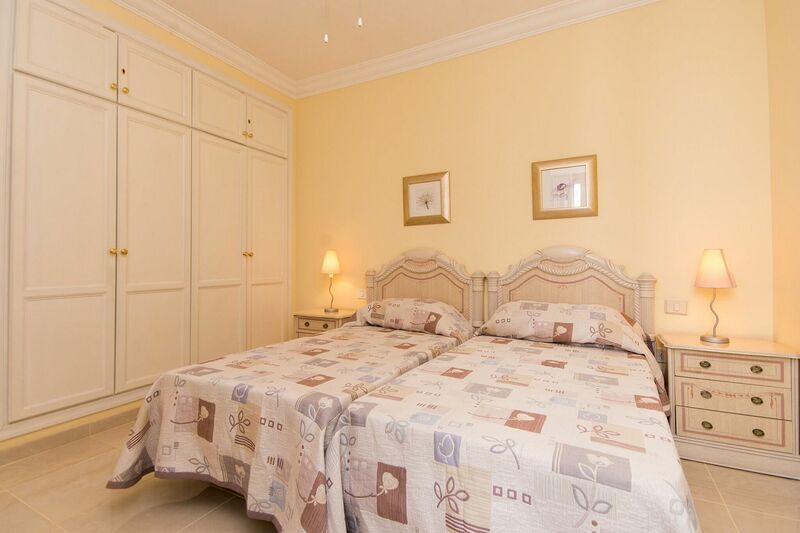 Both bedrooms have a ceiling fan, dressing table and large built in wardrobes.